Football - the definition for the same may be quite simple but it certainly does have lots of colors. It is a mutli-billion dollar business from sporting to TV companies. For some it is as close to their religion. People can fight or hug with a complete stranger while ignoring his family or close one when there is a match. As we live in Europe it is very hard to escape it. You personally can like it or hate it but you can not avoid it here. The French team as they are known as “les blue” - the blue. Since their jersey is blue but ironically it is a team of blue color people. It is one the place you will find people who do not have “de” or “sharp nose” and still can be a national hero. As there are very few from the same color people in French television serial or successful business man or high civil servant or elite to say in short to be in news. Although these are my personal views and I do not have many French contacts so my observation might be wrong. Any way, yesterday we were discussing about the possible outcome of the last two quarter finals of this Football world cup 2006. The worst scenario for French would have been beaten by Brazil and England wining their respective match against Portugal. The “so so” situation would be still loosing to Brazil but England also lost their match. As at least they can face their worst neighbors “les anglais”. According to me, Simple Fête would have been that French and England win and they both play Semi-Final. Reason - what happens in the Semis if they got beaten by “les anglais”? But voila! it turned out to be a “DOUBLE Fête” as French won and England lost. The whole France went crazy celebrating the result. After the event-full after-noon at Cite Perfecture we started at 9 P.M from Paris. It was not a bad start till the first stop. Then, the inside of the bus got converted to allow people to sleep; this is quite unique unless you have traveled once in any of those I am not sure how to explain. We did not know what it is either and tried to be polite when people pushed us to go first. But when we got in we found almost all the spaces were taken and there was no place left for us together. There was one typical old French lady who occupied the place for two & did not wanted to adjust as there was one more place where another lady also occupied for two and who called themselves sick and lucky (as they came first). Few co-passengers did not like this and were vocal about the same. Some suggested me to get down from the bus to show my protest. Any way after the afternoon episode I was not much left to fight with. So, we slept separately somehow and the night ended after all. We reached Marseille on time; after keeping our bags in hotel we left for exploring the second largest city of France.Â Marseille is a very big ugly city; it does not care for your visit. We went to near by island on a boat and a very great view of Marseille and Mediterranean Sea, we visited Notre-Dam and Cathedral followed by a lunch. We were told to meet at hotel at 4:30 for our next destination. But when we reached hotel there was no one and hotel guy gave a key for our room. After freshen up I asked them where are the rest of the passengers from our group. He said coolly -- Oh! They left. What!!!!! So I rushed back to room - told Pamela about the same. So, now after several questions of her we realized that we were supposed to stay in this Hotel for next 2 nights and the bus will come back. This was highlight of Day two when after having a good time in Marseille we missed the trip to "Aix en Provence"
After a good sleep we did make sure we do not miss any thing today. 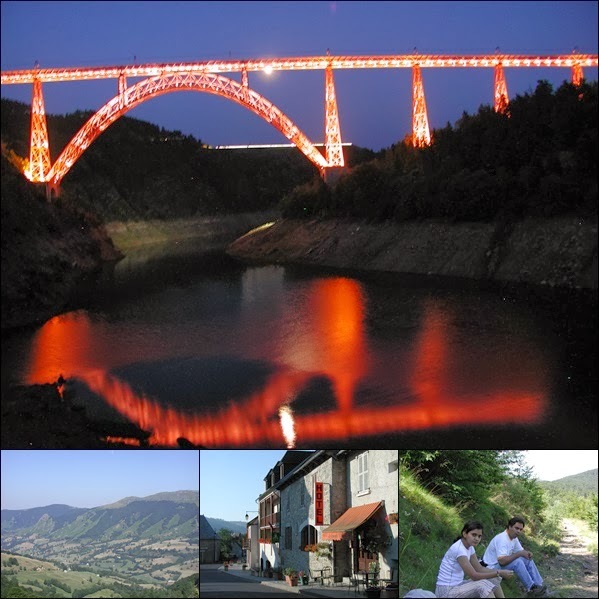 The day was great, we saw "Gorges du Verdon" which cannot be compared to Grand Canyon but it is great in its own. The bus ride to the same was really great. On the way back we stopped at the lake and a small tourist village. Dinner on Easter Sunday: most of the restaurants were closed and the open ones were very crowded. We got in to one place to try the Fish Soup (Bouillabaisee) speciality of Marseille. So, after waiting a long time waiter took the order and then after a big pause we got the starter; and then again started the eternal wait for main course. There was another couple right to us, who were also waiting for their turn just like us. On left another couple was also bored to wait after drinking their water and eating the bread pieces, as there was no one to take their order. It almost took us an hour to get the main course. The scenario was even much worst in the right table; the husband finished his meal with out any bread and there was no food for the wife L till then. As French menu consists of 4 courses so after main course it was to be followed by salad ? but seeing their delay I decided to skip that & thought dessert would be better to opt for ? but no luck; it was just the same. Lastly, I decided to leave without taking my dessert. And, they were very prompt while presenting the bill ? charged for the complete menu no concession on their poor service and incomplete meal. We visited Arles, a place famous for its Roman Arena. There was bullfight in the arena that we did not watched but there was Bull race on the road before that which was quite memorable. Then we moved to Baux-de-Provene a ruin castle visited by too many tourists each year. But it was really worth going to the top. The panoramic view of Provence rolling hills is great! From there we went to Avignon where Pope was moved for few centuries before going back to Vatican. It has the big church an old bridge that is broken in the middle. Rest of the trip to Paris after dinner was event-less this time as we were given the Premier Entry to the bus and was made sure by well wishers that we sleep together that night.Well, Tuesday morning at 5:30 AM the journey ended which just reminded us to go back to Cite for our long term visa. 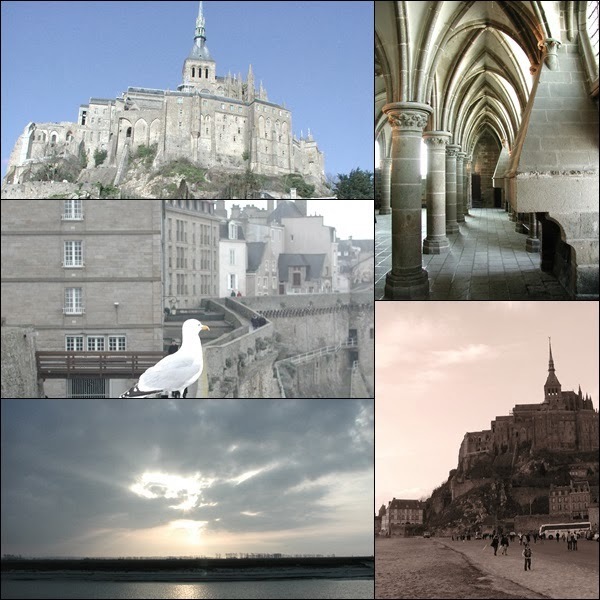 We went to Mont St. Michel on Feb.14th for two-day trip with one travel agency. The day was quite bright but with chilled wind blowing across. After spending 4 hrs at St.Michel we were shifted to hotel where we had our early French dinner & proper night sleep so that we are fresh enough to start for next day?s trip to Cancale on the way to St.Malo. Cancale has made its reputation as a fishing port, famous for its oysters. It?s the place from where granite rocks for St.Michel were taken. St.Malo a walled town made its reputation as a world port thanks to its sailors, merchants, and corsair ship owners and to it?s trading with India, China, Africa and America. Other then its port, miles long beach attracts visitors for sunbath in summer. The best view of St.Malo is from its ramparts. The first trip to France countryside was to Cantal -central region for 3 days with Murali & Joydeep on July 14th. Cantal, in France's Massif Central, is the largest volcanic edifice in Europe. We went by car, Murali did a wonderful job by seating at the back of steering wheel & Joydeep at navigator’s seat while we two were enjoying sleeping (from time to time) at back seat. We enjoyed a natural landscape which was really worth seeing through own eyes- rolling hills, lush green farmlands, small mountains, forests & valleys. 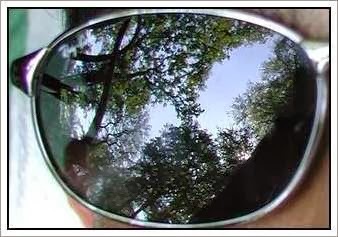 We went to this trip for hiking but unfortunately we couldn’t as it was extreme sultry weather to do so. We tried to do in one of the mountain but after halfway we gave up because of strong sun overhead made it unbearable.The night stay at hotel (run by family) was excellent as they speak quite good English, there hospitality were excellent & food too was home made so of course delicious (5 course French dinner). We went to Grandval Lake over which is constructed Bridge by Gustave Eiffel 584M in length. This metal bridge with only one parabolic arc was able to support the weight of the trains, resist hard and powerful transverse winds for years although now train doesn’t run over this bridge. Near to this bridge was one restaurant where we had our dinner. Here, for first time we had Confit de canard (duck) which was delicious and had mouth watering dessert at the end. Day after we reached Paris at afternoon as we changed our plan because of strong heat wave. On reaching Paris we had Japanese lunch near to Luxembourg gardens. Me and Pamela are living in Paris for a while now and we are still enjoying going around and exploring Paris. Lots of my friends asked me about our personal opinions on the same before visiting Paris and France for a week or so. So here it is will all the best information that I can write down with out making it too boring for you. A brief about Paris:Paris is divided in 2 main parts by the River Seine; the left bank and the right. Traditionally the city was divided just like a human brain left one for art and music where right one for money and power. Now there no such difference any more. 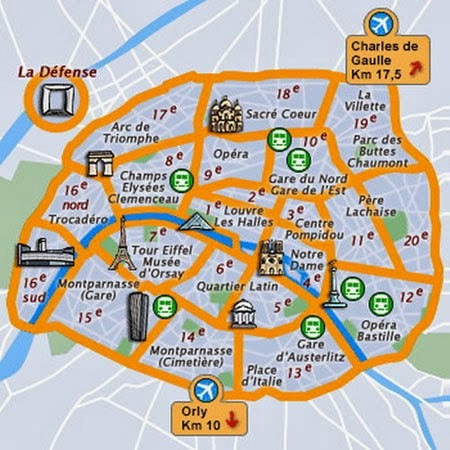 It has 20 districts or arrondisement in a snail pattern starting at the center of Paris. Notre Dame and Saint Chapel - If possible a cup of coffee on the top roof of Samaretine (now closed till 2012) to have the best view of Paris Center. But you can try Institute de Monde Arabe . La Defense - Paris version of New York Manhatten. Orsay - best place to go if you like impressionism artists like Monet/Gaugh etc. Be aware of pickpockets and small thefts. Paris is a small City it is only 15KM by 10KM. Ask for a metro Map when you get here. It involves a lot of walking so get yourself a good pair of walking shoes. There are not many public toilets and you need to carry change [coins] to use them. Get yourself a phone card from "TABAC" [where you buy cigarettes] for calling inside and outside France. There are special cards for India or US if you need any. Metro tickets you can buy the 10 tickets "carnet" or day pass depending upon your travel plan. You can use the same on any other public transport as long as you with in Paris. Each Street corner will have road names and tells you which arrondisement you are in. Getting a place to Stay/ Hotel:It is expensive when it comes to hotel in Europe and Paris in particular. The rooms are small and expensive. Personally I think if you get a hotel around Latin Quarter that is 5th, 6th is best as you are close to city center and the locality is nice. 7th, 8th are also good with 1st to 4th. Paris is very safe city in general. I personally do not like the area around the big Train stations of Gare de Nord and Gare del'Est The 18th,19th and 20th are should be avoided from my own prospective and you have happen to stay in 13th-16th make sure your hotel is not very far from Metro Station as these are more residential arrondisements with metro stations not very close by like center of city. 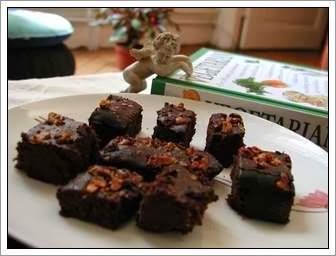 Food:Few lines about French food; if you do not take fish and a Indian vegetarian then there are not many choice for you L. Fish and Sea food is very common in French cuisine; it is almost considered vegetarians some times. But the pastry, bakery products and chocolates are delicious I am not joking.But there are lots of Indian place to choose from but make sure you ask for right amount of spices as it is very scaled down for locals.